That’s how Gregory Ugwi, co-founder and CEO of alternative data provider Thinknum, summed up the company’s just-closed Series A funding round in a tweet earlier today. The firm, which made its Finovate debut at FinovateFall 2014, enables investors to access non-traditional data on company performance and behavior that can provide actionable insights. Thinknum gives non-programmers the ability to query large datasets quickly, using intuitive tools and advanced visualizations to make data easier to understand. The platform enables users to scan open source data on 400,000+ of companies, and alert users when specific metrics are triggered. Today’s funding comes as the company announces that it has been cash flow positive for “the past few years” and doubling revenues every twelve months. Green Visor Capital led the Series A, which takes Thinknum’s total capital to $12.6 million. The company plans to use the new capital in three main areas: make it easier for non-programmers to use external, alternative data; build its business and engineering teams; and “spread the word” about the actionable insights available via alternative data. “We will continue to share our economy-changing findings with the world and reach out to decision makers and analysts and show how they can leverage these new information sources to solve their specific problems,” Zhen wrote. Founded in 2013, Thinknum was featured last fall in TechCrunch’s look at 14 seed-stage startups. The company, which includes Barclays, Goldman Sachs, and Bank of America Merrill Lynch among its clients, is headquartered in New York City. Envestnet | Yodlee to Support Morgan Stanley Wealth Management Business. True Link Financial Lands $3.6 Million Investment. Backbase to power commercial banking platform for Metro Bank. Crowdfund Insider features OurCrowd’s Jon Medved. ICCREA Banca leverages Misys Summit. CNBC interviews Thinknum co-founder Justin Zhen. Coverhound announces new partnership with pay-per-mile auto insurance innovator, Metromile. 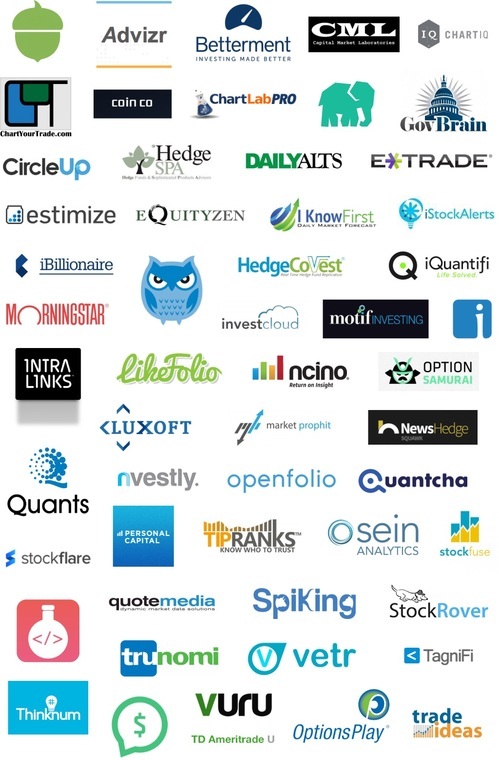 The Finovate Debuts series introduces new Finovate alums. Today’s feature is Thinknum, which demonstrated its collaboration and comparison tools for financial analysis. Thinknum’s web-based software is targeted to financial analysts. The collaboration and cloud-computing tools help build better financial models. It seeks to revolutionize asset valuation and empowers analysts to turn complicated spreadsheets into in-depth analyses. To more accurately value stocks, sophisticated investors create financial models based on metrics such as company sales, website page views, and global events such as spikes in food prices. Often, analysts use simple spreadsheets which can be inefficient in managing complicated data. Most financial models are shared by email, with different versions saved on various hard drives leading to lost content, mis-used models, and other confusion. Additionally, finding specific data points by sorting through spreadsheets is cumbersome. Thinknum provides analysts with a platform to host their spreadsheet-based models. Users can either upload existing models from Excel or build them directly on the platform. Powerful search capabilities enable users to apply a single model to multiple companies, automatically aggregating company-specific information, such as earnings and revenue. Additionally, Thinknum serves as a collaboration platform where 4,000 analysts from major banks and hedge funds across the globe can share and tweak each others’ models using different assumptions. With an overwhelming amount of data and hundreds of APIs created every day, it is impossible to capture all of the information needed for an accurate model. Even if it were possible, analysts would still lack the computing power needed to crunch the numbers in the model. Thinknum’s 50 computing nodes deliver results in seconds, pulling data from thousands of sources. Similar to Github, Thinknum gives users visibility into the work of other analysts on the platform. This provides insight into how others value certain companies, and can lead to better financial models. The example below shows how other analysts, listed along the bottom, value Google. The bubbles represent each person’s valuation based on their personal financial model. From here, analysts can open the model, view its performance, or use the QuickBuilder feature. With QuickBuilder (below), investors can test their models by simulating the effect of changes in inputs, such as company revenue and cost of goods sold, have on the overall stock price. Thinknum’s capabilities extend beyond the QuickBuilder feature. It also provides graphs detailing data from over 2,000 sources such as home prices, construction spending, and the unemployment rate. Check out Thinknum’s demo video at FinovateFall 2014.